I will have two ANL fuses, one for each alternator. 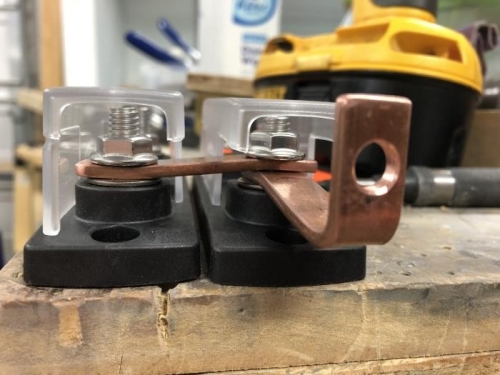 I got some ANL holders from B&C and manufactured some 1/8" copper strips to provide connection to the mater relay. 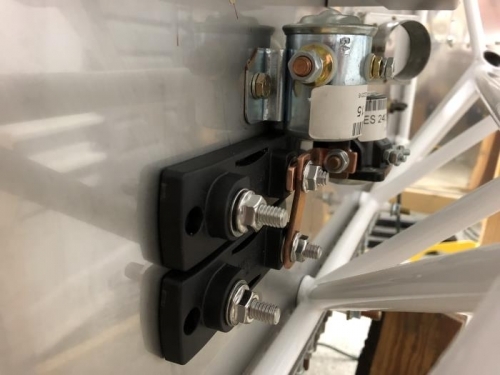 I bent them a little as the relay output is nearly in the same plane as the ANL connection bolts.